Please note that this case study was first published on blogs.ucl.ac.uk/eicah in March 2014. It was last check by the project team on 19 August 2014. For citation advice, visit ‘Using the website’. Montreal Park was originally built by Jeffrey Amherst, 1st Baron Amherst (1717-97) in the 1760s, to mark both his return from America and his Canadian successes as commander-in-chief of British forces. This home passed to Jeffrey Amherst’s nephew, William Pitt Amherst (1773-1857), in 1797. Like his uncle, William Pitt played a variety of important (yet often unsuccessful) roles in global affairs. Despite his lack of success on the international stage, however, in 1823 Amherst was appointed to the role of Governor-General of India. Accompanied by his wife Sarah (1761-1838) and their eldest son Jeffrey (1802-1826) and daughter Sarah Elizabeth (1806-1876), Amherst travelled to India and began what would become a highly problematic tenure as a colonial governor. He declared war with Burma in early 1824 and mounted an attack on Rangoon. Two expensive years of fighting only yielded the territories of Arakan, Tenasserim and Assam. 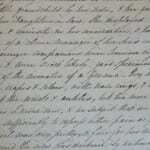 In 1828, Amherst returned home to Britain with his wife and daughter, his son having died in India. Soon after returning to England, the Amherst family began rebuilding their country house, Montreal Park in Riverhead, Kent. This case study explores this period of return and questions the different outcomes that stately house-building achieved for imperial families. As Mark Girouard reminds us in the opening pages of Life in the English Country House: A Social and Architectural History, country houses principally acted as markers of status and wealth – ‘they were power houses’. Traditionally the purchase or building of a country house by returned East India Company families has been characterized as an assertion of wealth and status and a means through which they integrated into the structures of power constituted by the existing elite. Building on James Holzman’s earlier work, Tillman Nechtman argues that by purchasing an estate, or similarly, by pursuing a parliamentary seat, East India Company families not only turned wealth into power, but also turned wealth into a recognizably British form of power. As a landed estate Indian wealth became domesticated. In these debates on the purpose of country house investments, the purchase and building of country houses have come to be seen as interchangeable. In contrast, this case study specifically investigates building to uncover the diverse benefits East India Company families accrued through this activity. Alan Mackley and Richard Wilson’s research has shown that men embarked on house building not only to demonstrate status and wealth, but also to accrue benefits discernable in the process of building itself. Through their decisions and close management of projects, house builders – for example – displayed taste and discernment. In Mackley and Wilson’s account, however, it is primarily men (as lone individuals) who benefited from and engaged with these processes. More recently, the work of Judith Lewis has challenged this reading by demonstrating that women were often actively involved in managing and directing house building projects. For example, Lewis examines how Sarah, Duchess of Marlborough took direct control of the building project at Blenheim after her husband, the Duke of Marlborough, suffered a stroke in 1716. Taking control, Sarah promptly fired Sir John Vanburgh and hired the cabinetmaker James Moore in the hope of completing the project before the Duke died. In this, and Lewis’s other examples, although women were consulted over house building projects embarked on by husbands, they became most directly involved as widows rather than wives. This case study builds on Lewis’s insights by demonstrating how women acted as important agents in collaborative building projects and how collaboration involved not just husbands and wives but also members of the broader family circle. 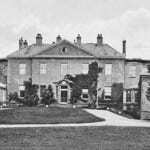 As Margot Finn’s case study on Swallowfield Park demonstrates, some Company families sought to purchase country estates by combining wealth and assets. Returning to England in 1813, after working as a judge in the Bengal Supreme Court, Sir Henry Russell, first baronet (1751-1836) suggested the possibility of joining his own financial resources with those of his sons Henry and Charles to purchase a country house. 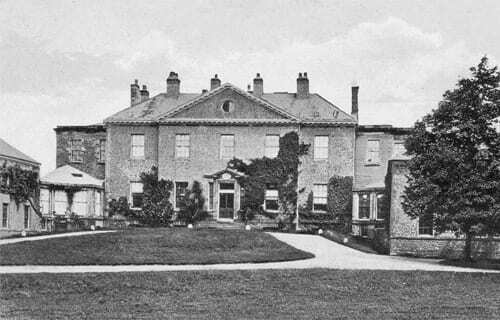 In the early 1820s, the Russell family finally bought Swallowfield Park in Berkshire. As the Russell family employed collaborative strategies for purchase, the Amherst family employed collaborative strategies in building. This case study shows how design decisions were made collaboratively and how house building became an endeavour shared across a broad family circle. In doing so, it reveals how building not only allowed imperial families to manifest signs of their new wealth and status and to integrate into established elite circles, but also that the very process of house building allowed families previously separated by distance to reintegrate with each other and reconstruct a shared familial identity. Using architectural plans, journals, and correspondence, this study examines the changes the Amhersts made to Montreal Park upon their return from India and explores what they hoped those changes would achieve. Alongside letters, the Amherst family also invested time in writing journals while away in India. On return other members of the family read these journals to understand the lives that William, Sarah, Jeffrey and Sarah Elizabeth had lived while absent from the the family home. Through examining this strategy of familial belonging we begin to recognise that families not only kept in contact while separated by imperial distances, but also developed strategies that reunited the family once home. As with journal reading, house building allowed the Amherst family to embark on shared endeavour once home. Through planning and designing changes to their familial home they worked collaboratively, rebuilding a sense of familial belonging and simultaneously rebuilding their family home and identity. Click here to read this case study in PDF format. The text and research for this case study was primarily authored by Kate Smith, Research Fellow on The East India Company at Home, 1757-1857. Douglas M. Peers, ‘Amherst, William Pitt, first Earl Amherst of Arracan (1773–1857)’, Oxford Dictionary of National Biography, Oxford University Press, 2004; online edn, May 2009 [http://www.oxforddnb.com/view/article/445, accessed 19 June 2013]. Amherst’s son Jeffrey died in 1826. Mark Girouard, Life in the English Country House: A Social and Architectural History (New Haven and London: Yale University Press, 1978), p. 2. James M. Holzman, The Nabobs in England: A Study of the Returned Anglo- Indians, 1760-1785 (New York, 1926), pp. 70-80. Tillman W. Nechtman, Nabobs: Empire and Identity in Eighteenth-Century Britain. Cambridge: Cambridge University Press, 2010, p. 165. Richard Wilson and Alan Mackley, The Building of the English Country House: Creating Paradise (New York and London: Continuum, 2000), p. 66. Judith S. Lewis, ‘When a House Is Not a Home: Elite English Women and the Eighteenth-Century Country House’, Journal of British Studies, 48:2 (2009), p. 346. Margot C. Finn, Swallowfield Park Case Study’, East India Company at Home, 1757-1857:http://blogs.ucl.ac.uk/eicah/case-studies-2/swallowfield-park-berkshire/a-collaborative-endeavour/ (2012).